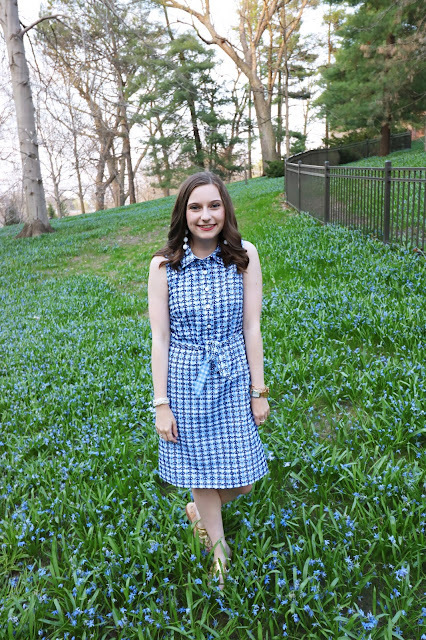 J Crew's newest spring collection is full of pattern, color, and texture. I'm loving how light and airy the colors and the designs are! I've had to many cold days in Iowa that I am ready for spring. However, today was super nice out so I think spring is slowly on it's way. But, I am loving this new collection. 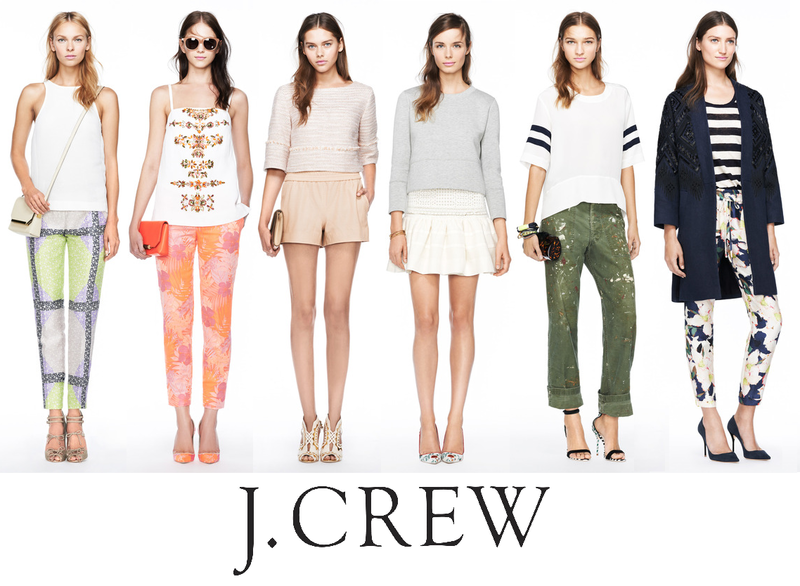 Lets be honest though, when don't I like J Crew? The answer is never. One of the main things I noticed in the looks in this collection is how they mixed patterns. One of the main things I noticed was mixing stripes with floral. I think this look is super cute and chic at the same time. 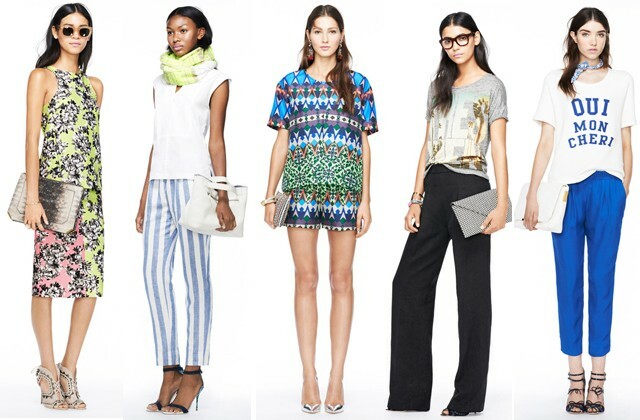 Most people are afraid to mix prints but spring is all about being bold and fun. So try it out! Don't be afraid to mix it up and try something new. I am also loving the variety of pants they are showing. The patterned floral pants and then the green distressed pants are unique and would be a great addition to an outfit. I spy some graphic tees! J Crew t-shirts are basically the only t-shirts I wear. I enjoy the fun and cute sayings they put on them like the two pictured above (right side). Also, there is a super cool tribal inspired print that they show on the shirt and shorts. It's bold and bright without being to overpowering. I am in LOVE with the look farthest to the left and the look second from the right! If I could have them right now I would be completely fine with that. Here are three looks inspired from the collection! All of these looks would be great for going to class, out to eat, or to hangout with friends. The fall 2014 J Crew collection is full of great pieces. I love how much texture there is in all of the looks. From faux fur to leather there is a little bit of everything in this collection. Also the colors are super rich and dark. I love the darker floral print pant with a plaid scarf! Not to mention the super unique silhouette of the dress on the left. It has a drop waist, v-neck, and exaggerated pleats that make is super structured. So there you have it! There are my thoughts on the Spring and Fall 2014 J Crew collections.